Wish there was still time for another holiday this summer? No need to travel to the other end of the world to keep that holiday feeling! 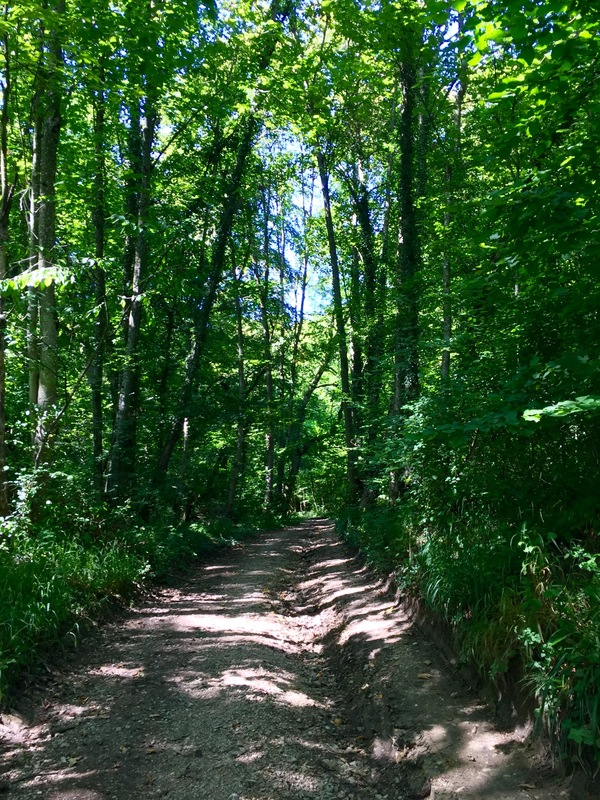 Spend a day outdoor and explore the beautiful Alsace region! Put on your walking shoes and pack a picnic, the pretty countryside of France and Switzerland is waiting for you! The starting point is in Leymen. It’s only a 40 min tram ride out of Basel, but it sure feels like a different world when you get there. Get on tram 10 towards Rodersdorf, get off at Leymen station and follow the directions below. 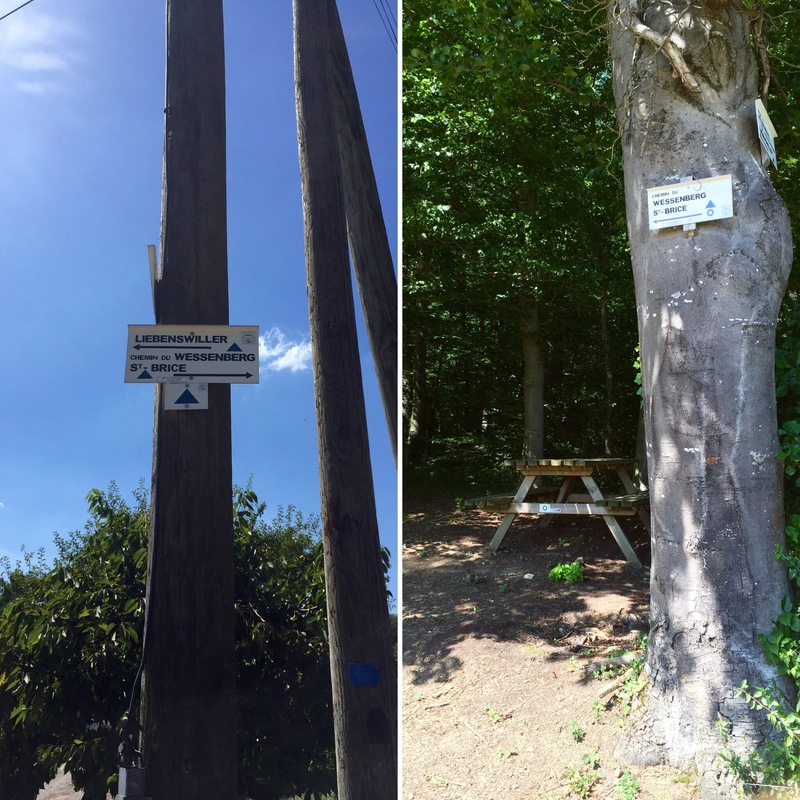 This trail is quite well signposted, relatively easy and can definitely be done with kids. The best is to start in the morning in order to reach the St Brice Inn around lunch time – make sure you take a picnic with you, as the inn is closed until Spring 2017. When getting off the tram, walk left toward the village. Take a right on Rue de la Gare and walk all the way down the street. At the end, take a right on Rue Principale and follow the sign Liebenswiller. After about 10 minutes walking, you will go over a small bridge across the Birsig. After the bridge, follow the dirt road on the right, marked with the blue rectangle. Keep you eyes open and look for the apple and plum trees! 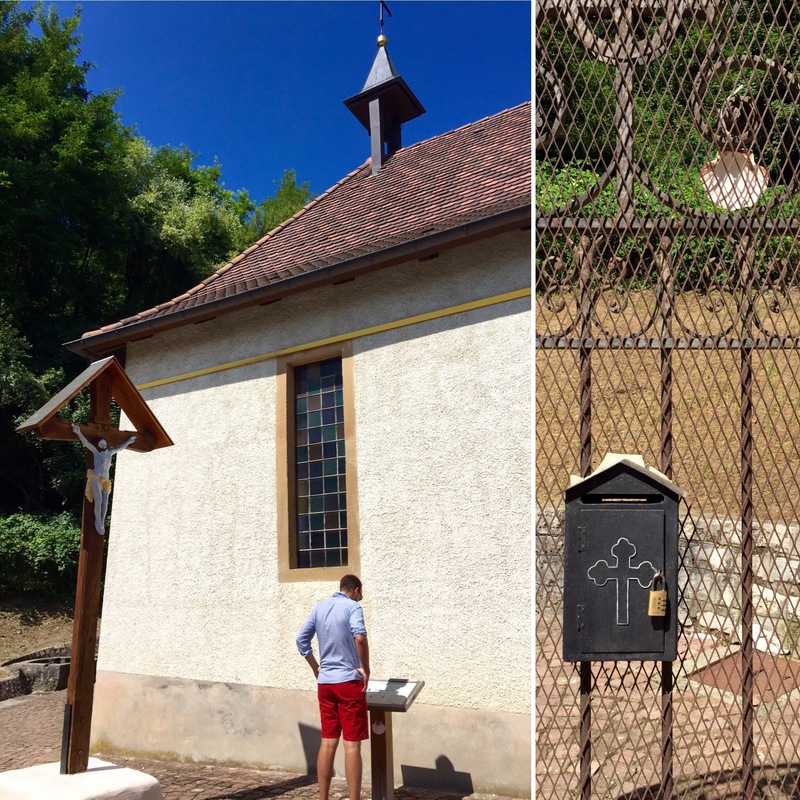 After about 1km, you will reach the Heiligenbrunn Chapel. If the chapel is open, take a peek inside! After pausing, take the path on the left of the chapel through the forest. You will find some fresh air in the shade of the trees. Keep following the path marked with a blue rectangle until you reach a cross road. Take a left at the intersection below and start walking along the path marked with a red triangle in direction of St Brice. The red triangle signs will turn into a blue triangle signs and then yellow diamonds. Keep walking toward St Brice. You will find the Saint Brice Chapel on your right. The inn is just next to it and is the perfect spot to stop for a nice picnic. Although the inn is closed right now, there are wooden tables and benches outside to sit and relax. 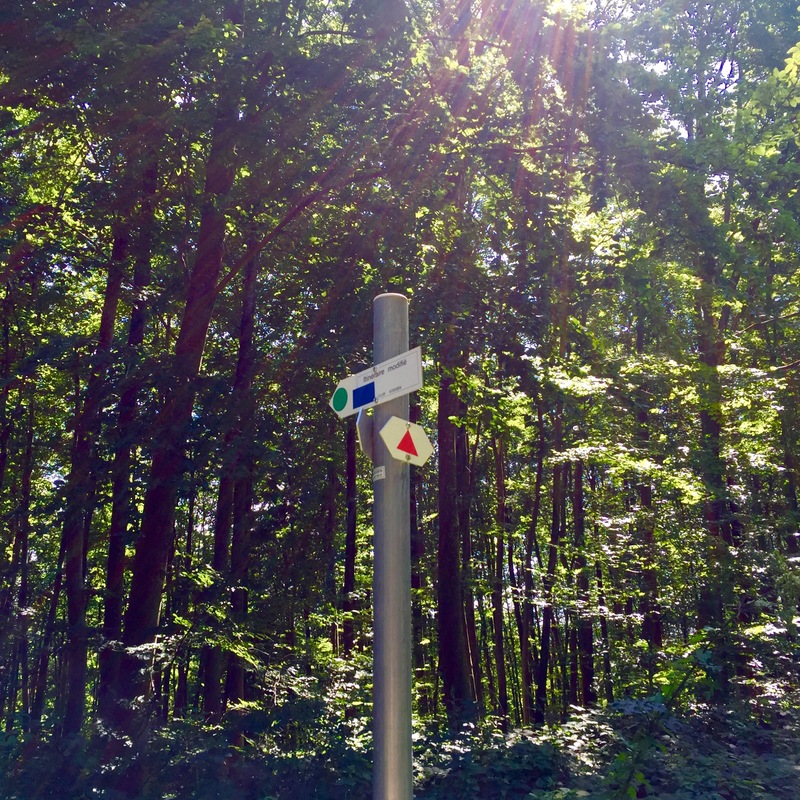 After your lunch, return to the trail and keep following the yellow diamond signs towards Rodersdorf. This is the last part of the walk. You will need about an hour to reach the tram station. 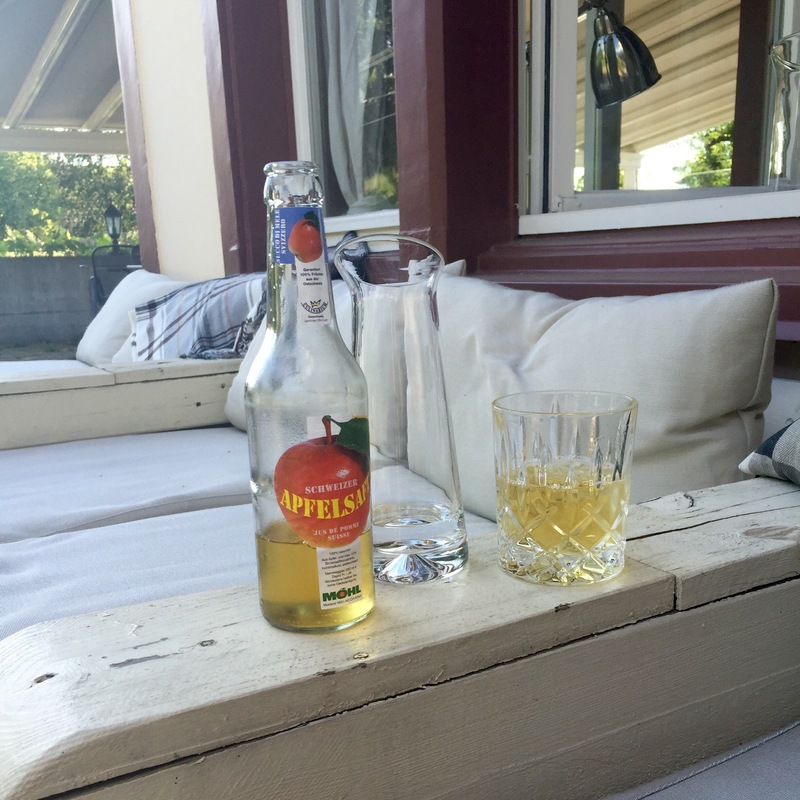 And if you still want to make that holiday feeling last a bit longer, enjoy a refreshing Apfelschorle in one of the comfy couches of the restaurant by the tram stop, while waiting for the tram. Now, go, explore and enjoy! Note that on or after a rainy day, parts of this path might be quite muddy. Excellent! 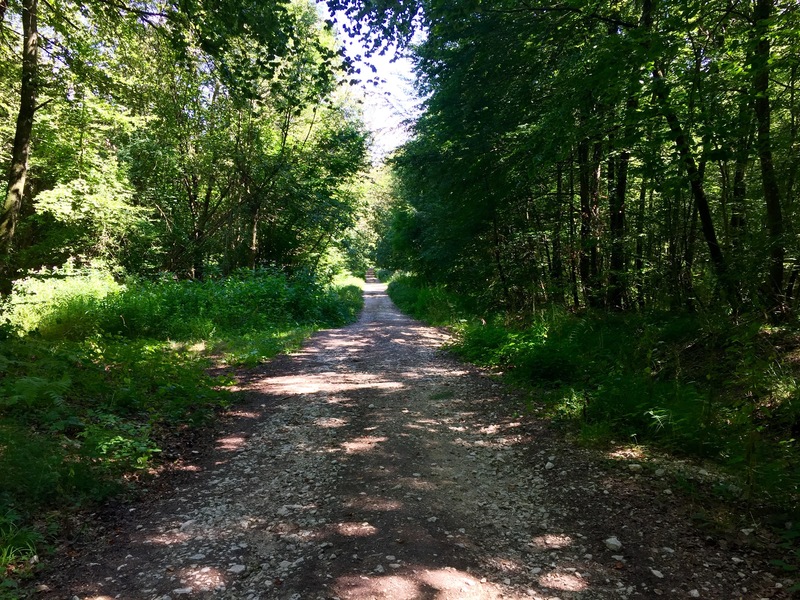 Many thanks for your lovely and inspiring post! I have one question: which is the duration of the walk from the tram stop to the lunch break spot? Thank you Charlotte for this post!